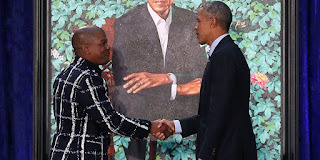 Home News Nigerian Artist painted Obama, gets honoured months later by Harvard University. Nigerian Artist painted Obama, gets honoured months later by Harvard University. 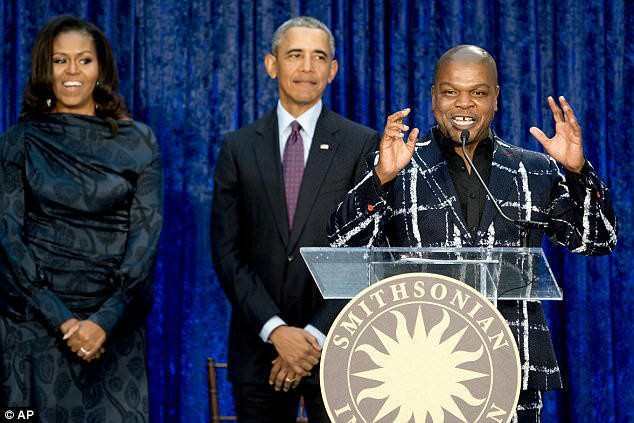 Nigerian artist, Kehinde Wiley, who painted the controversial Obama portrait have been honoured by Harvard University on Thursday, 11th October. 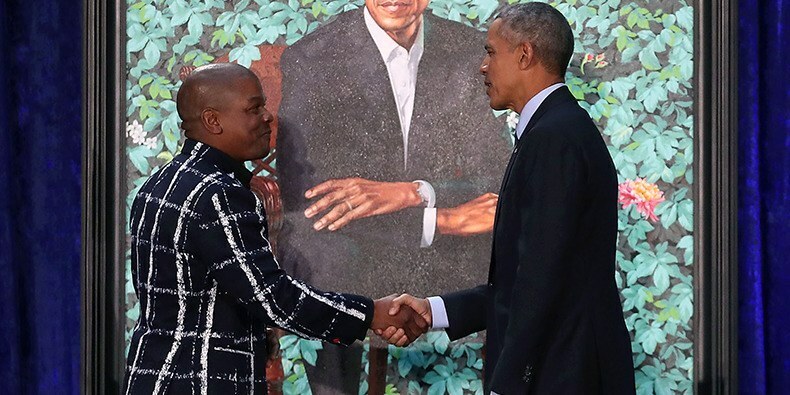 Kehinde Wiley who was commissioned to do a portrait of former United States President Barack Obama, around October 2017 has been honoured with the W.E.B. Du Bois Medal by Harvard University. The controversial portrait was unveiled on Monday, 12th February at the Smithsonian National Portrait Gallery. 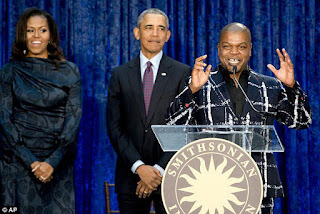 This made Barrak Obama to be the first African-American president to have a portrait in the National Portrait Gallery also making Mr. Kehinde the first African-American artist to paint an official presidential portrait. Kehinde, is a New-York based portrait painter known for his highly naturalistic paintings of African-Americans. He is also controversially known in the past to have painted some images that featured black women with knives holding the decapitated heads of white women, much like Kathy Griffin on President Trump. This recall got him so many bad critics on twitter around March, 2018. Kehinde on Thursday alongside seven others — Florence Ladd, Kenneth Chenault, Shirley Ann Jackson, Pamela Joyner, Bryan Stevenson, Dave Chappelle, and Colin Kaepernick — received the medals for their works in various fields. Kehinde Wiley was born South Central, Los Angeles in 1977, where he was raised by a single mother and was one of six siblings. His mother was a linguist, and he grew up surrounded by books. Wiley took his first art lesson at age 11, and at age 12, in 1989, he was one of 50 American children who went to live in Russia at the Center for U.S./U.S.S.R. Initiatives. There, he studied art and Russian language. He eventually attended the San Francisco Art Institute, and studied art in graduate school at Yale. He is based in New York, but has studios around the world in Beijing and West Africa.